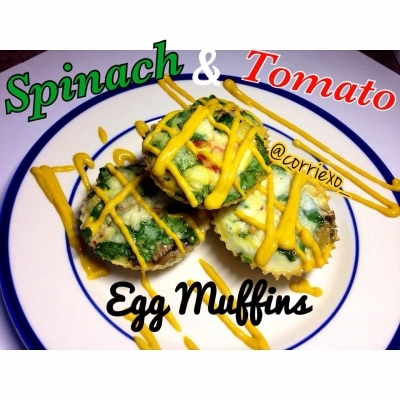 A quick and easy breakfast solution, that will leave your taste buds happy! Preheat oven to 350. Grease your muffin tins, and layer in the veggies. Mix egg whites, egg and mrs dash and pour evenly through tins. Sprinkle with feta on top and let cook for 25 mins. I used mustard as my topping, but you may use the topping of your choice!